Donor-advised funds (DAFs) certainly aren’t a new philanthropic trend, but they are gaining momentum and, for better or worse, grabbing headlines in the process. According to the National Philanthropic Trust, the number of accounts, the dollars granted, the assets managed and the contributions made to DAFs all experienced double-digit growth in 2015. These rates of growth have persisted for many years; yet while most organizations are used to receiving distributions at an annual-fund level, DAFs are quickly becoming a factor in transformational giving. One sponsoring organization, Fidelity Charitable Giving, reported that DAF distributions of $1 million or more increased 27 percent in 2015. As the popularity and influence of DAFs in philanthropy continue to rise, so too does the debate surrounding their advantages and shortcomings. Saying that DAFs are controversial is like saying Bill Gates is wealthy. There are so many facets of the debate that it simply isn’t possible to capture those perspectives here. What’s clear, however, is that DAFs are here to stay, and prospect development professionals can move our organizations forward with some good, old-fashioned prospect strategies. So, what are DAFs? Who uses them? Why are they so popular? How can your organization maximize gifts from DAFs? Read on! A donor selects a sponsoring organization with which they will establish a DAF, and then completes necessary paperwork, including designating advisor(s) who may recommend grants. The donor contributes to the fund and is eligible for a tax deduction for the year the gift is made to the DAF, regardless of whether the charitable dollars are distributed to a charity in the same year. The funds are managed and invested over time by a fund manager, and, like any investment, the fund’s value will fluctuate according to the investment vehicles and market forces. Usually, the sponsoring organization collects administrative and investment fees for managing the fund. At any time in the future, an advisor can recommend grants. The fund manager reviews the advisor’s recommendation, consults the sponsoring organization’s due-diligence policy and grant restrictions, and either fulfills or rejects the recommendation. DAFs may only distribute grants to 501(c)(3) organizations. DAFs have no compulsory legal payout requirements (unlike private foundations). A single DAF can have multiple donors and advisors. Corporations, foundations or other organizations can create and give to a DAF. Thresholds to establish a DAF and other particulars, such as fees, vary across sponsoring organizations. Fidelity currently allows initial DAF contributions to be as low as $5,000 and requires no minimum balance. Fidelity also allows grant recommendations in amounts as little as $50 and, as with most sponsoring organizations, there is no maximum on the amount that can be granted. Many DAFs charge annual account-management fees and may charge a one-time set-up fee. The donor and sponsoring organization, when establishing the DAF, will account for the possibility that the fund will outlive them by naming successors who will retain advisor privileges or a beneficiary organization, which will receive the fund’s proceeds. Donors can recommend investment preferences to achieve their giving timeline and philanthropic goals. Donors and advisors can elect to remain entirely anonymous to recipient organizations receiving grants from the DAF. Sponsoring organizations are not required to disclose the donors making contributions to or advisors recommending grants from a DAF. However, few donors elect to remain anonymous. DAFs cannot be used to satisfy pledges, and donors may not receive event tickets or other membership benefits in exchange for DAF grants. Donors claiming a tax deduction for their DAF contribution may not receive goods or services in exchange for their contribution. Satisfying a personal pledge via a DAF distribution would violate tax law. For more information on this, review the Association for Advancement Services Professional’s Best Practice on Donor Advised Funds written by subject matter experts on legal pitfalls in gift agreements, gift entry and receipting. Broadly speaking, there are four types of sponsoring organizations. These organizations offer many services beyond managing DAFs. Depending on the donor’s philanthropic goals and net worth, one of the four categories of sponsoring organizations may be a better fit than the other three. Commercial financial firms such as Fidelity Charitable, Schwab Charitable and Vanguard Charitable are some of the largest sponsoring organizations. The Chronicle of Philanthropy reported that Fidelity Charitable topped its list of nonprofit fundraisers for 2015, raising $4.6 billion. Commercial financial firms typically offer donors low thresholds for initial contributions to establish DAFs and for making grants, and donors can oversee their DAF via an online dashboard. Community foundations are grantmaking public charities dedicated to improving the lives of people in a defined geographic area. The Foundation Center reports that there are 789 community foundations in the U.S., all of which collectively raised $9.1 billion in 2014. Some of the largest include the Silicon Valley Community Foundation, the Foundation for the Carolinas and the Greater Kansas City Community Foundation. Donors are subject to thresholds that are similar to or marginally higher than commercial financial firms. Many community foundations offer local or regional expertise to advise donors on opportunities that align with donors’ philanthropic goals, and often a portion of the administrative and investment fees collected by the sponsoring organization are reinvested at the regional level. Some community foundations ensure DAFs remain active by requiring distributions at certain intervals. Smaller, boutique-style firms such as a single-family office, a single-family office consortium or co-op and small investment management or advising firms can serve as a sponsoring organization. Many large law firms are also beginning to develop family-office practices to serve as general counsel to offices catering to a single ultra-high-net-worth family, often providing a comprehensive wealth-management solution. Recently, nonprofits themselves have begun to operate institutional DAFs, where the nonprofits become sponsoring organizations. In most cases, the nonprofit (in this case also the sponsoring organization) requires a percentage of the DAF’s distributions be allocated to itself. Advisors can recommend grants to outside nonprofits from the DAF’s remaining balance. This has become popular among higher education institutions, where the threshold to establish a DAF may be as high as $1 million. A challenge for learning more about DAFs, their donors and their advisors is that there is limited information available because these entities are not subject to reporting requirements or the level of regulation of private foundations and other charitable giving vehicles. The National Philanthropic Trust (NPT) provides an annual report featuring aggregate data as both a public charity and an advocate for the DAF industry, and The Economist recently published aggregate data on the DAF industry (which has evoked some criticism). Several commercial sponsoring organizations also publish their own annual report (e.g., Fidelity Giving Report), which often provides insight on their donors and advisors. The challenge with reports like the NPT’s and Fidelity’s is that the data points reported year to year can vary, as can their calculation method, and is only based on the DAFs it administers. The lack of information available, combined with the donors’ and advisors’ ability to remain entirely anonymous, can be challenging for nonprofits as they work to identify donors to cultivate and steward. Additionally, if your nonprofit has policies about not accepting funding from a corporation or a gift-acceptance policy that requires thorough vetting of the source of funds, it can be difficult to navigate and maximize grants from DAFs. Philanthropic families: 62 percent of Fidelity Giving Accounts have more than one donor, often representing a family unit such as spouses or parents and children. Planning for retirement: Most donors establish a Fidelity Giving Account in their 50s (average age is currently 62) as a way to sustain giving during retirement. Planned giving donors: 42 percent of Fidelity Giving Account donors have a bequest or charitable legacy vehicle in their will. Online donors: Advisors recommended 87 percent of DAF grants online in 2014 and pre-scheduled grant recommendations represented nearly a quarter of all grants in 2015. Donors with complex assets: Fidelity reported that in 2015, two-thirds of contribution dollars were non-cash assets such as stocks or real estate — an 18 percent increase from 2014. DAFs accept various illiquid assets, such as land and art, and Fidelity experienced an 87 percent increase in the number of contributions of non-publicly traded assets from 2011 to 2015, which can often be too difficult for nonprofits to accept directly. A vehicle of the people: DAFs used to be purely for the ultra-high-net-worth philanthropist, but Fidelity reports that in 2015, 61 percent of Giving Accounts have a balance of less than $25,000, which for some nonprofits is less than a major gift. Donors with a local focus: Half of grant dollars were distributed to nonprofits within the donors’ home state. Donors known to the non-profit: Fidelity Charitable reported that only 3 percent of their grants are truly anonymous, 6 percent include the fund name and a whopping 91 percent include the donor’s name and address. As the number of DAFs increases steadily each year, there are clear indications that the giving vehicle offers some unique benefits to users. Below are some common explanations for DAFs’ popularity. Tax advantages: Donors are eligible for a tax deduction for the year the contribution is made to the DAF, despite a specific charity not yet receiving the funds. Additionally, according to a Fidelity list titled “9 Ways to Reduce Your Taxable Income by Giving to Charity,” depending on the complex asset, donors making contributions to a DAF are eligible (see number nine) for a higher charitable tax deduction limitation based on a donor’s adjusted gross income than if they made the same contribution to a private foundation. No minimum annual payout: Unlike private foundations, DAFs are not subject to a minimum pay out. This is perhaps the most polarizing DAF-related issue among the philanthropic industry. Some see DAFs as a parking lot where charitable dollars waste away; others see DAFs as earmarked funds for philanthropy, ripe for cultivation. Low overhead: Commercial financial firms and community foundations offer low overhead, especially in comparison to a family foundation, which would require separate tax filings and a board to oversee grants. Convenience: DAFs at commercial financial firms and community foundations often offer donors an online dashboard to manage their contributions, grants, investment choices, and, at commercial financial firms, non-DAF investment accounts. Additionally, advisors are able to pre-schedule recommendations for distribution (though it can take a few days for the distribution check to arrive at the charity and can be difficult for advisors to participate in sporadic online giving days). Finally, according to Fidelity, 75 percent of donors indicated that the ease of contributing complex assets motivated them to establish a DAF. Partnership: Fund managers can offer guidance to burgeoning philanthropists that can help identify charities that align with the donor’s philanthropic goals. Anonymity: If a donor wants to remain anonymous, even to the charity, giving through a DAF is one option. Many philanthropic professionals are becoming increasingly aware of DAFs as an important, emerging revenue stream for their nonprofit. As prospect development strategists, we can help highlight these opportunities for our key stakeholders. A donor with a DAF at a family office may have hidden capacity. A donor with a DAF at a community foundation may focus their philanthropy locally. Knowing the identity of advisors will help a gift officer tailor a solicitation to the correct audience. A donor who named their spouse and children as advisors versus a donor who is the only advisor would likely require different approaches. Capacity ratings or solicitation amounts can be informed by the sponsoring organization’s initial contribution thresholds, minimum-balance requirements or policies about required distributions. When you spot a prospect with a DAF while researching, flag that for your gift officer and remind them of the profile of a DAF philanthropist. Consider whether a prospect with a DAF presents a potential estate-planning opportunity and consult your planned giving team. Develop a system that works for your organization to track individuals with DAFs. DAFs are an indicator of a sophisticated philanthropist (with dollars already tucked away for charity! ), so find a way to include this helpful data point in even the most basic analytics. Recommend to your marketing team that they highlight DAF grants to your organization, especially in planned giving materials. Engage your local community foundation’s CEO. In addition to DAFs, your community foundation administers many other types of philanthropic vehicles, including some discretionary funds. What nonprofit wouldn’t want to be at the top of the foundation’s grantee list? Focus prospect identification on donors with DAFs. Does your community foundation publish an honor roll? Can you search in your database of record, online or in a subscription database for donors affiliated with funds at your local community foundation? If so, those are significant prospecting opportunities. Identify key connectors. Cultivate fund managers as philanthropic brokers. Fund managers, even at the larger commercial financial firms, can impact advisors’ philanthropic priorities. Before the fund manager can point to the great work your nonprofit is doing, they have to know you exist. Approach these individuals like any key connector in your nonprofit’s network, and assign a prospect manager to cultivate these professionals. The Chronicle of Philanthropy recently reported that a development officer secured multiple major gifts by working with financial advisors; the article further outlines strategies for building relationships with wealth advisors. Whether you philosophically support or oppose DAFs, they’re a major opportunity for your organization. There’s no right answer or formula that will increase DAF grants to your organization, but if you can integrate one or more of these strategies, you’re on the right path! 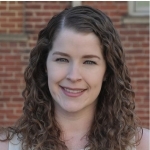 Lindsey Nadeau is associate director, Presidential & Principal Gifts Research, at The George Washington University. Nadeau joined GW in 2015 to lead their presidential and principal gifts research and relationship management team. She is responsible for guiding a specialized team focused exclusively on providing prospect intelligence in support of GW's most visible, high-impact solicitations and engagement. She has played an integral role in GW's ongoing presidential transition, and partners with senior fundraising leadership to shape both high-level and prospect-specific strategy. Nadeau previously led development operations at the Center for American Progress, a progressive think tank; was an assistant director of prospect research and management at American University; and held multiple roles (read: too many hats!) in development operations at Public Citizen, a consumer advocacy nonprofit. Nadeau is the immediate past president of Apra Metro DC and is a member of AASP's Prospect Development Best Practices Committee. She's a self-proclaimed prospect development fan girl, a food and wine nerd, and an equestrian enthusiast. Nadeau holds a BA in economics from American University.